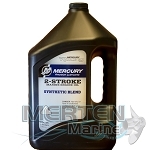 Mercury Racing prop covers are popular among performance boaters and racers alike. 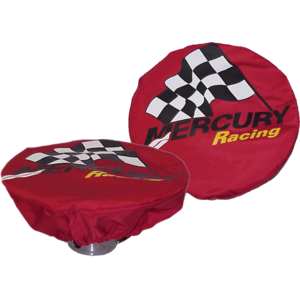 These attractive covers feature the Mercury Racing logo silk-screened on a nylon material. 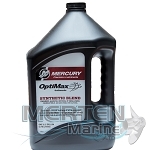 The tough nylon shell resists tearing and is waterproof to protect your propeller from the elements. A stainless steel ring maintains a form-fit over the propeller. 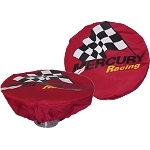 Q: Yes I was curious about the order for the Mercury Racing prop cover that fits up to a 15 inch I would like to know if there's two in the order or just one.... the picture shows 2 plz let me know as soon as possible so that I can place my order????????? ?